* The length is "about" because those didgeridoo are all similar but the size can be slightly different. The crafter use special machine but it controlled by himself; in order to reach the right tuning the max length can be different. This is a very special didgeridoo! Multiple notes as it's length is adjustable, through its versatile slide function. This wooden slide didgeridoo is crafted by Gary Dillon, who is a Perth based Didgeridoo maker, who specialises in recycled timber didgeridoos. This slide didgeridoo was made from recycled Jarrah timber which is a unique Australian hardwood renowned for its versatility, durability and strength characteristics. 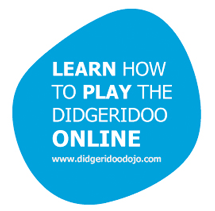 This slide didgeridoo is really easy to play, it has good back pressure with playable musical notes between F and B(Fa and Si) with the first and second toots easy to play particularly with the lower keys. If you frequently travel with your didgeridoo, or would like too, this is the didgeridoo for you! 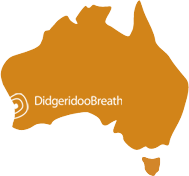 There is wide range of keys in this didgeridoo, so you do not need to carry and travel with heaps of didgeridoos when you can have one incredible, versatile didge! Compared to the plastic slide didgeridoo, the Gary Dillon crafted wood-slide didgeridoo has a bigger sound and really warm harmonious qualities. I love my Gary Dillon Slide Didge. Super good quality, meant to last a lifetime. The low note is a A# or Bb and my Paiste Sun gong is 63.11Hz, just above a B, so I tuned the didge to match the gong. And I bought a double-bass and tuned the low E down to a B, one octave lower than my gong and didge, and all 3 instruments together creates a awesome sound.